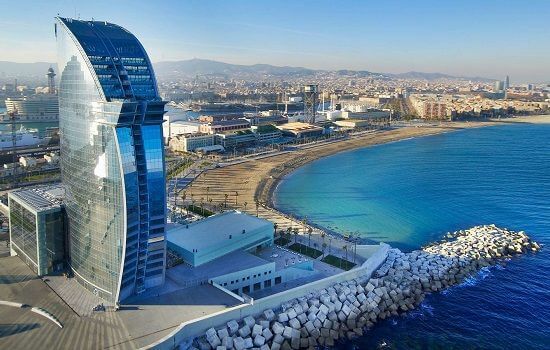 One of our favourite 5 star hotels, adjacent to the beach and a stones throw away from Central Barcelona. 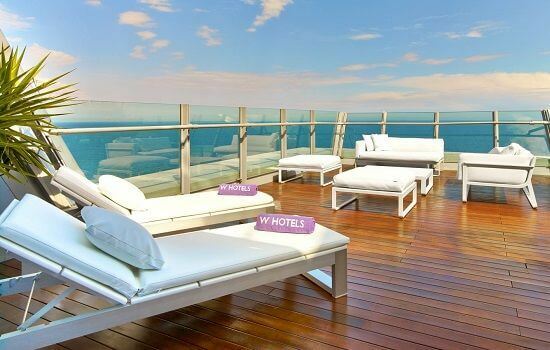 A modern, contemporary 5 star hotel, the W hotel is located just by the beautiful sandy beaches of Barcelona. 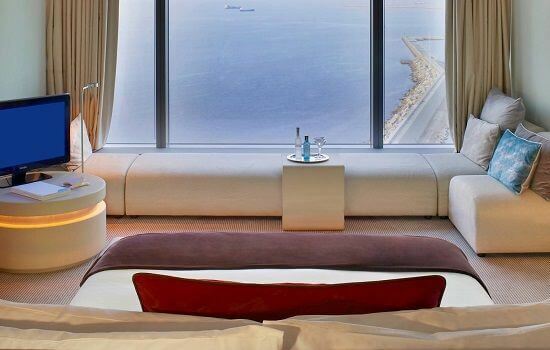 The rooms at the W have panoramic views of either the city of Barcelona or the alluring Mediterranean Sea. A choice of over 7 restaurants and bars providing a range of international and local food.